I found a screaming price on a case for my DJI Phantom Quadcopter (remote control helicopter with four rotors) from MCM Electronics. 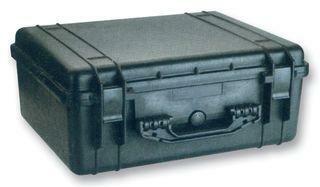 I have a Pelican case which looks close to the same, but not quite big enough. If this case is even 1/4 a Pelican I’ll be happy. I just need an easy way to transport the Phantom and its accessories as well as protect them when not in use. A report will follow when the case arrives and I’ve had a chance to use it.